The first ever article I wrote for START Journal was about the contemporary dance scene in Uganda as I had experienced it. Quite a number of developments have taken place since that article; changes in educational institutions, genre crossovers, and reduced financial support to name a few matters that will be addressed in this update. But I want to kick off by apologizing to the readers of that article. I failed to make mention of one supporter of contemporary dance in Uganda, Didier Martin, former Director of Alliance Française. He was a very strong supporter of the genre and ensured that there was interest in the country by inviting visiting dance companies. He also opened the door to Ecole des Sables for Jonas Byaruhanga, the founder of Keiga Dance Company and a key figure on the Ugandan dance scene. Jonas Byaruhanga. Photo by Astrid Dill. His influence created a new wave of dancers, a good number of whom are still active today and have also gone on to start their own projects and companies. Dancers are finally harnessing their creative potential by seeking out opportunities within dance in field such as dance education. 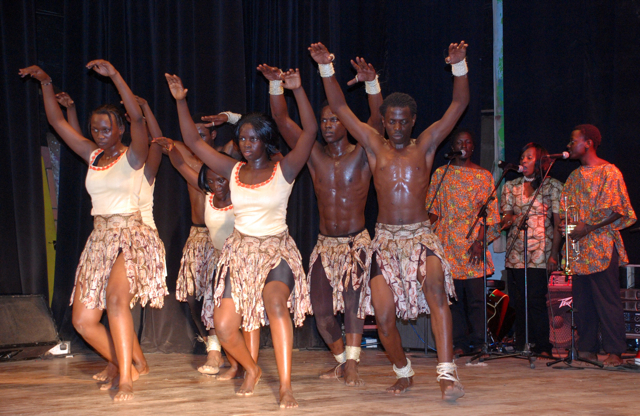 The last two years have seen the springing up of various initiatives to create competition for the Kampala Ballet and Modern Dance School, which opened in 2005. Vantage Dance Studio, Antonioz Dance Studio, In Motion and a host of other individual projects have come up to take a slice of the emerging market in dance education and fitness classes. Viva! Dance is one such story that has taken fitness classes to another level, by giving dance aerobics classes to their clients, mainly working class women. Catherine Nakawesa and Emmanuel Kirisa have their classes at the National Theatre every Tuesday evening and Saturday morning. Since we are still talking of education, the Makerere University recently changed the arts department from the Music, Dance and Drama Department to the School of Performing Arts and Film. This – I am told – has meant that the restructuring has also affected the programs and dance has been absorbed and made a part of the performing arts certificate. 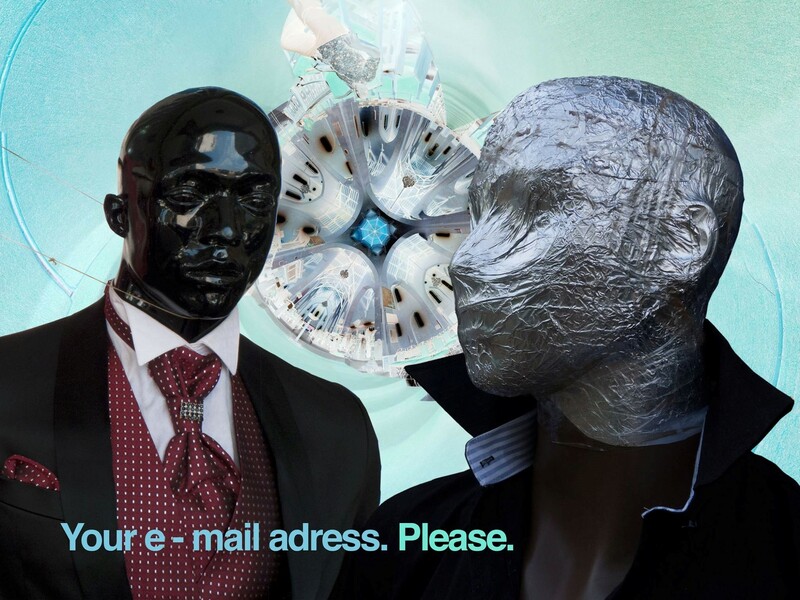 If my information is anything to go by, the modifications on the courses may prove detrimental to the students and – on a grander scale – the industry. From Dance Transmission Festival 2011 at the National Theatre. There is already limited technical capacity within the performing arts, specifically within contemporary dance. The move to consolidate all the arts into one course may expose the students to a wider range of information, but it does not allow for depth. Judging by the unfavourable attitudes towards the performing arts, this means that one may leave the university having just the bare necessities to function in a field that is constantly evolving. The other development is the effort made by dancers who are crossing over from other genres, mostly hip hop and breakdance, to try their hand at contemporary dance. This has injected a new set of ideas and ways of working that promises to generate interest from the audiences these popular dancers generate. 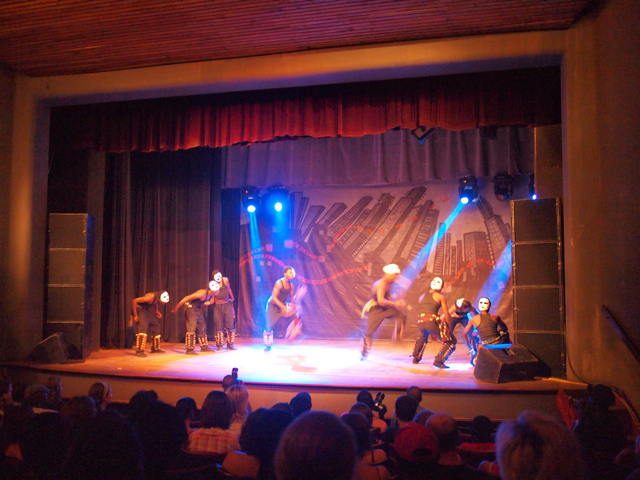 Breakdance Project Uganda and Tabu Flo Dance Company are examples of such creative minds that are making a mark on the contemporary dance scene. 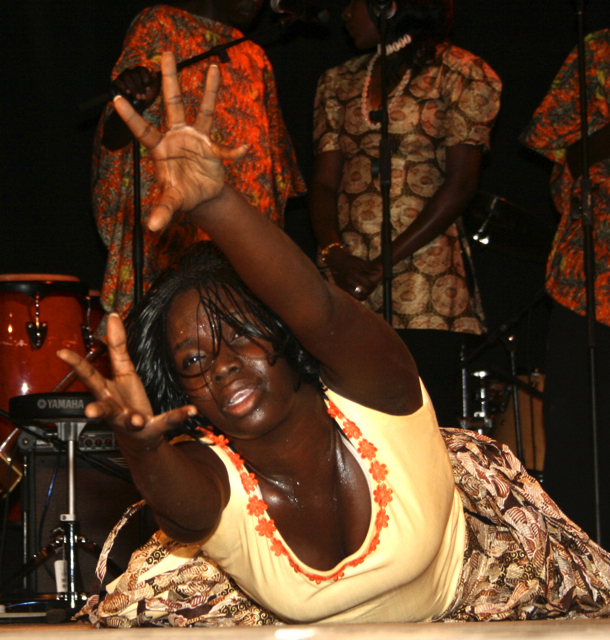 Latin dance and traditional dance have also been incorporated into dance works to infuse variety and depth. From Breaking Free at National Theatre. Photo by Thomas Bjørnskau. Unfortunately, things are not as rosy on other fronts. There has been reduced support from the cultural institutions, which have had their budgets cut considerably and have had to reassess their priorities for projects they fund. Since contemporary dance is at the bottom of the food chain, it is only natural that the downsizing happened from there first. To make matters worse, the funding organizations like DOEN Foundation require projects to be implemented by partnering organizations. Whereas this presents us with the opportunity to collaborate and create great impact, the underlying message is that we all must think alike to create art. This limits the diversity and only ensures that their agenda is met. There seems to be little or no consideration for the fact that there are always differences in opinions, more so among artists. From Umoja Cultural Flying Carpet, 2011. Photo by Hanne Dal. The apparent lack of management skills or event cultural managers to do the due diligence within the dance companies may prove to be another thorn in the industry’s side. While there is a need to create more works that are technically brilliant and relevant to the audiences, one must also take into account that there is a real need to follow the money. We cannot pretend to be just artists. The current times dictate that we think on our feet and have to be more participative in the efficient running of our companies. Competences must be developed and capacity built to ensure sustainability and a reduced dependence on donor funding for the arts. Granted, we will continue to need it, but we must be more financially aware of the implications of our works, projects and resources. Despite the obvious changes on the scene, technically there is a decline and this is something that I believe is attributable to complacency. There is this sense among the old guards that they have arrived. This reflects negatively on the up and coming dancers who need to look up to these “veterans” for guidance. The obvious vacuum on the scene has also ensured that there is a lack of attention to the fundamental choreographic elements. Dance is made up of three elements; time, space and force. All of these need to be carefully considered whenever one creates a piece of dance, whether long or short. Now to a number of you this may sound like hogwash but you must understand that, as in every art, there is a method to the madness. One cannot just pretend to move across the stage and assume that he/she has created a dance piece. Again, the argument will be that contemporary dance provides a platform where the movement is limitless. I agree with you on that one, but must add that there must be an intention in everything we create. Otherwise, what is the point? This means that we get to see a lot of poorly constructed dance works that make no sense at all. By nature, contemporary dance is an acquired taste, and sometimes even the best of us may fail to interpret the work we experience. Nonetheless, there must be a process that is followed to arrive at this result, and this is solely determined by the choreographer and the interpreters (read dancers) of the work. However, maybe the stagnation has and will provide us with a unique opportunity to think outside the box. What with the various performance opportunities that exist on the scene now? Dance Week Uganda has fought, tooth and nail to stay relevant to the scene and their audiences and continues to provide a platform for new works every first quarter of the year. 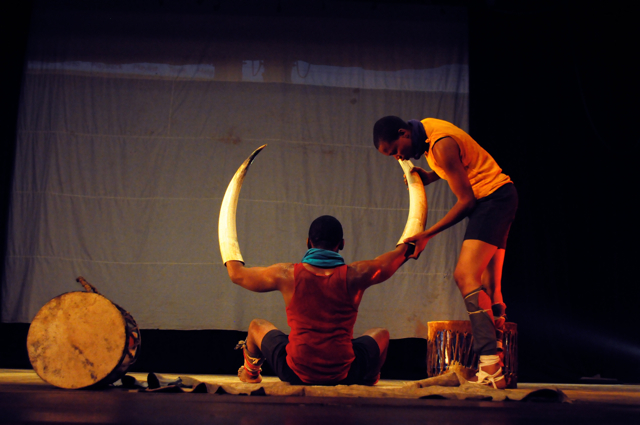 Dance Transmissions Festival (DTF), which is just two editions old, is another annual platform that takes place every last quarter of the year and also has a similar approach to Dance Week Uganda. The only difference is that DTF has funding while Dance Week doesn’t. Maybe that is just a difference in opinion, but the ideas of the two festivals are quite similar despite their efforts to appear otherwise. This does not mean that having the two platforms is a bad thing. I feel that one should be a build up to another or that the one could have totally different feel and flow. The organizers also need to realize that having two major festivals so close to each other in terms of period (November and February) does little to favour the dance community, because there is hardly any time to create new works. Furthermore, the likelihood that the same audiences will watch both times is fairly high, which may also work against the performers by putting them under undue pressure to maintain the level of performance. Contemporary dance has been through numerous seasons. It still struggles on thanks to the strong will of the artists that constitute its ranks. There is still a long way to go, but the dancers shall not be daunted and face the challenges with utmost defiance. This is what will stand them in good stead against the forces that threaten to stop them from seeing their dreams come to fruition. Thanks for the update on dance. Also, thanks for the mention of Didier. lack of advancing the art form. How is contemporary dance getting better? they become more confident in there craft to then create new better works. 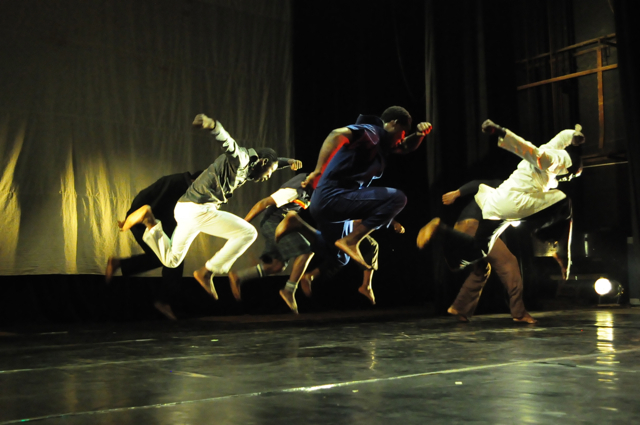 Looking forward to new work in the future by Ugandan contemporary dancers. Moses, contemporary dance has a lot of potential for growth. We need to be proactive. New entrants onto the scene need to be mentored by individuals who can make them aware of what lies within them. Despite the obvious lack of strong formal education structures, there are opportunities for the industry to join forces and create linkages with other stakeholders bot regional and international. EventsToday is an e-newsletter, with a print version, that lists events that happen in Kampala every day, and send to subscribers. We would like to ask your institution to send us any events that you have upcoming, for listing, at no fee. Kindly let us know if you would like to receive EventsToday e-newsletter.